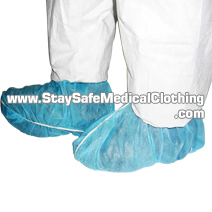 are designed to cover the shoe for the protection of patients, medical professionals, and the shoe itself. They are especially important for the operating room, in which sterile conditions are key for the protection against contaminants. Shoe covers however can also be used in many other industries including factory and industrial settings where sterile conditions and/or safe and clean products are needed. They are also used with the food industry, especially those in hospitals and care homes. 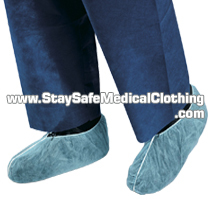 Medical boot covers are similar to the shoe covers, but they provide coverage for the whole boot, up to the shin. The benefits of shoe/boot covers to patients are that they protect from any contaminants that could be on the shoe or sole, including all outside contaminants. 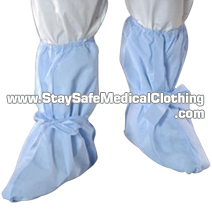 In certain situations, such as after a c-section or when in ICU, even the visitors are also required to wear shoe covers in order to see their loved ones, to protect them from outside contaminants. 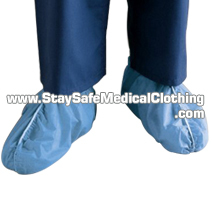 The benefits to the medical professionals are that they firstly protect their shoes from any spillages and accidents that could occur, and also as they are disposable, they ensure that no bio hazardous materials, bodily fluids, blood, and/or debris are taken from the operating room out into the surrounding environment. 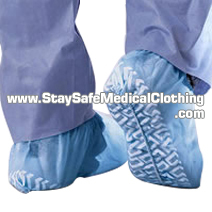 StaySafe™ shoe covers are resistant to normal wear and tear, as well as chemicals, and bio material found in medical settings. They can also come in non-skid which is best for use on tile and linoleum, and is generally the safest option, as it prevents slips and falls, on slippery surfaces. Shoe covers are also flexible, secure, and lightweight; as well as this, they come in different sizes and in many colors for individual needs. Finally, they are disposable, environmentally friendly, and are ISO, CE and USFDA approved. Can shoe covers be reused? 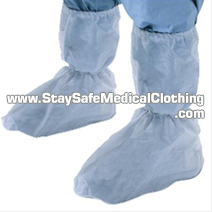 Medical shoe covers should be disposed after one use, especially when entering/leaving operating rooms, and other rooms where sterile conditions are necessary. Shoe covers should not be used if they have been soiled or torn. CPE material stands for Chlorinated Polyethylene. PE, PP, and CPE are all resistant to chemicals, temperatures, and are also waterproof, however to different degrees. PP is the most resistant and tough of the three materials, whereas, CPE is flame retardant, and PE is generally the least expensive. Economically, they are all viable options, with PE being slightly cheaper than the rest. What is best to use depends on individual preference. Are there different sizes for shoe covers? 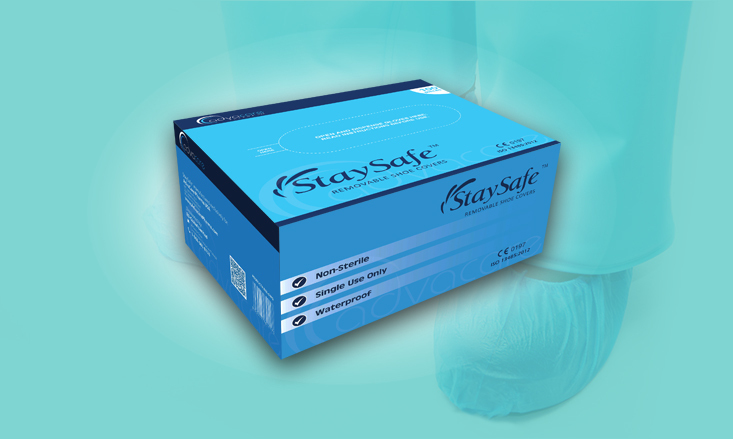 StaySafe™ shoe covers come in small, medium and large. Do you have more questions about our Shoe Covers? Contact Us!